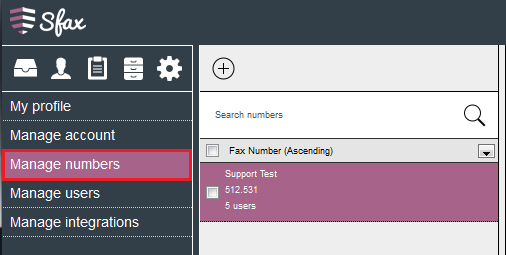 If your organization is growing and you are in need of more fax numbers, we’ve provided a way to make this process easier for you! Once you have logged into the Administrator account for your organization, you will need to go into the Settings area. 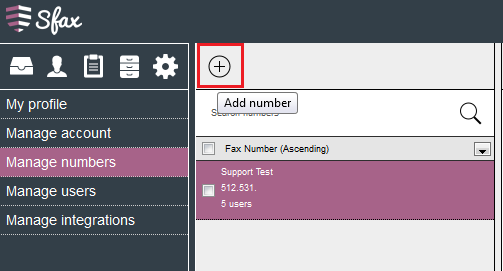 Inside the Manage numbers section you will have the option to add a number when selecting the Add number icon. The Add number icon is at the top. Clicking this will pop up the confirmation box. 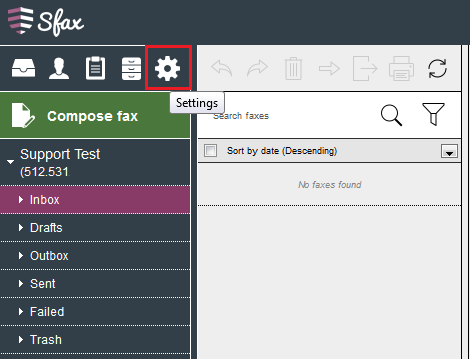 Fill out your name, the account name, the account # and how many fax lines you are requesting. 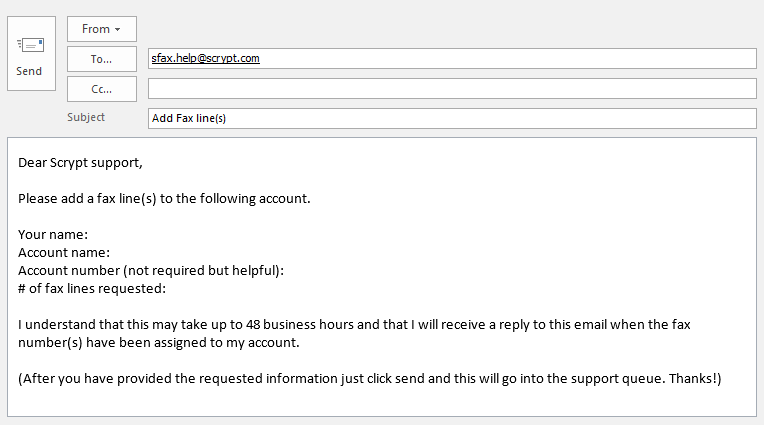 Our agents will reply to this email once your lines have been assigned. Please note, we have 2 business days to reply to all support requests, however we generally reply a lot quicker!